In 2016, the state of Massachusetts faced an increase in opioid overdoses as the drug was laced with synthetic fentanyl, fueling the addiction crisis. Newton was hit hard, as there were reports of 57 heroin and opioid overdoses in 2015 and 75 in 2016. Unfortunately, those which were fatal increased by 140%. In response to the increase in opioid addiction, the mayor and the city of Newton established a multidisciplinary working group committed to confronting the heroin addiction crisis. The group is made up of members from Health and Human Services, the hospital, public school system, city council, police, fire and the drug court. Using a multi-pronged approach to tackle the issue, the group has made significant efforts and has more underway. On a statewide level, the Massachusetts Department of Public Health is engaging in a public information campaign to raise awareness among parents about how they can protect middle and high school age children from prescription drug misuse and addiction that often leads to heroin addiction. The philosophy of many programs within the area to treat heroin addiction is to put the addict on a path to long-term recovery by first walking the individual through detoxification, and then initiate inpatient or outpatient rehabilitation. The idea is to work on a continuum of care that stays with the individual from a structured inpatient stay through sober living. As well as working with the addict themselves, the state of Massachusetts has instituted safe prescription drug disposition centers in order for medications to be disposed of properly, keeping them out of wastewater and out of the hands of children and others who should not have access to the drugs. Heroin is a commonly abused illegal drug in the United States and a member of the opiate family. Individuals prescribed opiate pain medications may progress to heroin addiction when their prescriptions run out and physicians no longer renew prescriptions. Each year the addiction claims thousands of lives and in the past few years nearly 80% of those who are addicted to heroin attribute their used to a prescription once received by their physician. Several states have enacted legislation in order to protect patients from over prescribing, which may lead to heroin addiction. Those who are not affected by this legislation are individuals and active treatment for cancer or receiving hospice care, as opioid medications were developed to treat pain associated with end-of-life treatment and cancer patients as the medications are so highly addictive. 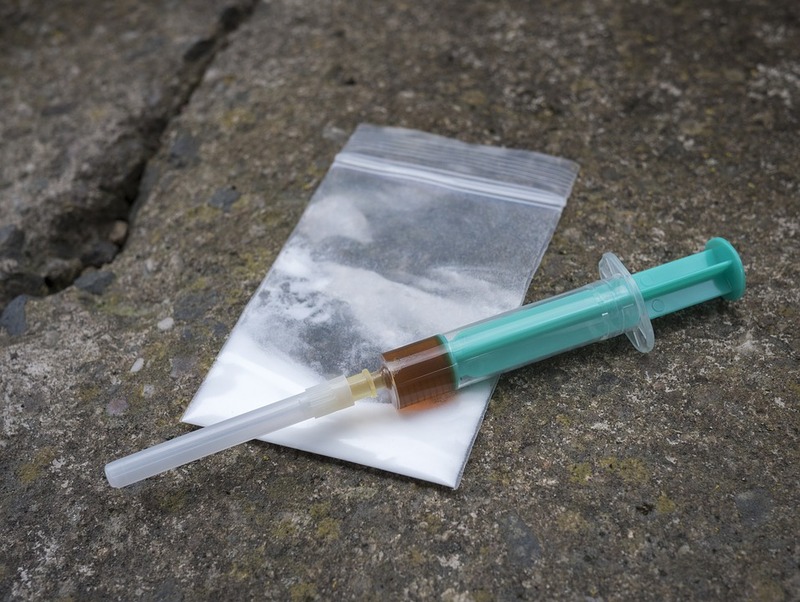 Heroin is known on the street by number of different names. It elicits feelings of elation and pleasure to which people often get addicted. Detoxification can be difficult and harmful if not done under proper guidance. Heroin addiction also hijacks the brain’s memory systems and motivational system that may result in a relentless pursuit of the drug, at any cost. One of the most frequent reasons people see their physician is for lower back pain. Unfortunately, many times you may be handed a pill to ease the pain without getting to the foundational reason for the problem. Many of these pain medications are opiates or narcotics and are made from the opium or poppy plant. Some of the prescription pain medications you may receive include fentanyl, hydrocodone, hydromorphone and oxycodone. If you feel like you don’t have enough medication to ease your pain and you’ve been using pain medications for a long time, you could be addicted to pain pills. Your friends and family may describe you as not quite being yourself and you may become angry if somebody tries to talk to you about the possibility of needing pain pill addiction treatment. When your prescription runs out and you’re no longer able to get a renewal from your physician, you may be tempted to seek out street drugs in order to feed your habit. This is the path most take as they move from a prescription opioid addiction to heroin use. Detoxification and rehabilitation are not the same thing. Detoxification is the physical act of getting heroin out of the body and is a key step in initial rehabilitation. If you attempt to go through detox instead of rehab, you’re likely to relapse. On the other hand, if you attempt to go through rehab without detoxification, the program will not work. In other words, while they are different, they are both necessary to getting clean and living sober. Symptoms usually last approximately a week but can continue for up to 2 weeks. Medical detoxification is necessary before rehabilitation can begin. However, detoxing off opiates in a medical facility may shorten your recovery time allowing physicians to monitor your physical and mental health, reduce your stress and reduce the risk of a drug relapse. The physical symptoms of medical detox usually start between 6 and 12 hours after your last dose and may last up to a week to two weeks. Drug cravings and some of the emotional side effects can last longer than a month if you do not go through rehabilitation. Peak symptoms occur within 72 hours after your last dose of the drug. During heroin withdrawal and detoxification your physician may use several medications to ease symptoms and smooth your path to rehabilitation. These medications include methadone, clonidine, Naltrexone and buprenorphine. Each of these have their own advantages and disadvantages, although methadone and buprenorphine are addictive themselves, while Naltrexone may reduce the potential for relapse and is not addictive. Naltrexone comes in a pill or injectable form and can be used on an outpatient basis as an implant. True rehabilitation happens after your body is detoxified from any drug or alcohol substance. So prior to drug rehabilitation for heroin or opiates, it’s important you have detoxified from any alcohol use. This initial stage happens in an inpatient hospital setting under the care of a physician. In some cases detoxification can occur in the same place where you’re having inpatient rehabilitation, and other cases you’ll have to undergo medical detox in another facility. Inpatient rehabilitation programs are structured settings from which you can learn to adjust your behaviors and get in touch with the issues and challenges that first led to a heroin addiction. Professionals and counselors will encourage you to approach this from a perspective of health and wellness so that you can use the program most efficiently to achieve a clean and sober life. Prior to admission to an inpatient treatment center you’ll go through a thorough physical examination and interview. This is done to assess your compatibility with the program you’re considering. A full physical is completed in order for the professionals to fully evaluate any underlying medical conditions you might have and assess whether or not their program is suitable for your individual situation. During this assessment and intake process, you can spend some time and energy planning your inpatient treatment as it’s not uncommon to feel stressed over letting go of your responsibilities with your family and your job. It’s helpful to remember that under the Family and Medical Leave Act, you’re entitled to up to 12 weeks of leave and your job is protected while you’re gone. As you’re planning your rehabilitation it’s important to ensure care for children, pets and elderly parents, as well as ensure your bills are paid while you’re in treatment. Remember that not every program works for every person, so during the assessment portion it’s essential you evaluate the program as much as they are evaluating you. Within a safe environment of a treatment center you’ll receive help needed to make the difference between becoming and staying sober, or constantly struggling with your addiction. Heroin rehabilitation programs work, but it does require a commitment on your part and a decision from you about whether or not to get treatment for your addiction. The intake process is often done with a psychologist or counselor and a physician. It is critical that you are truthful during these interviews as any false statements about the extent of your addiction can seriously hinder your treatment program. Your inpatient and outpatient options will vary and could include an inpatient residential care, partial hospitalization or intensive outpatient program. The structure chosen by you and your counselors will reduce stress and uncertainty and often allow for a safe and supportive environment. Depending upon the inpatient center you choose to attend, the amenities and activities will vary. During your inpatient rehabilitation stay most mornings begin with breakfast followed by group sessions or individual sessions with your counselor or therapist. Group sessions will follow a 12-step addiction and recovery program and meetings are held in a safe and controlled therapeutic environment to help avoid triggers that may slow your recovery. After lunch, programs often include cognitive behavioral therapy and specialized sessions depending upon your specific needs. Family support is crucial, which is why many centers included family therapy sessions in their afternoon programming. As your addiction has affected your entire family, it’s important these issues are resolved and addressed before going home. Your long-term success in substance abuse treatment programs is reliant on your family’s participation and the future support of your family and spouse. While there is no right or wrong answer about starting rehabilitation on an inpatient or outpatient basis, several studies have found that residential treatment care is most effective if you have a long history of addiction or have an unsupportive home environment. Outpatient rehabilitation does not include an overnight or residential housing. You will receive some of the same psychological and medical treatment that’s available during inpatient care in a clinical setting once you finish detoxification. However, in an outpatient setting you have the freedom to remain at your job and with your family if circumstances permit. Outpatient therapy is usually part of follow-up from an inpatient stay in order to improve the adjustment period between an inpatient structured setting and living in a residential setting. Your goal of outpatient rehab is important to recovery and maintenance of your sobriety. During this time you’re going to identify goals with your counselor that will help address your previous social challenges and establish a positive support system as well as resolve any legal issues and maintain sobriety. Outpatient programs will allow you to remain involved with cognitive behavioral therapy and engage in problem-solving strategies that involve your personal situation. These programs usually use a 12-step program and they recommend you use this throughout your lifetime to support sober living. Aftercare has been developed in order to help prevent relapses. In some instances aftercare programs begin during your outpatient rehabilitation and in other instances they begin once you’ve been discharged from outpatient care. Recovery from heroin and alcohol does not stop when treatment ends. The remainder of your life will be involved in continuing to recover from te effects substance abuse has had on your body, your mind and your life. Aftercare will continue this process once a structured program has ended. There are a variety of different types of aftercare options that help you expand on coping strategies you learned during your rehabilitation. You may find comfort in participating in group counseling sessions or you may prefer individual therapy on a one-on-one basis to build your progress in a setting that’s more comfortable for you. In both instances, aftercare offers you a structured time to share your experiences with addiction in the real world and help you develop strategies to maintain your sobriety. As you’re completing outpatient treatment and during your aftercare you may wish to explore sober living housing in Newton. Transitional housing is designed to offer you support, and some include drug and alcohol treatment programs at their location. Although these options are not formal, they’re an extension of the treatment programs you’ve already undergone. Many of these homes are designed to address specific needs of individuals and are gender-based. This means if you have a specific addiction to heroin you may find transitional housing with individuals who are going through heroin rehabilitation. Sober living facilities offer you a stable environment with a reliable support system to continue recovery. However, it is not a necessary part and is an alternative that can be used to provide you with a healthy environment if you don’t receive the encouragement and support you need at home. Maintaining your sobriety and working through your recovery is nearly impossible when living with other individuals who are using drugs and alcohol. Many of these homes offer structured living schedules and guidelines for behavior that encourage stability in a routine necessary for your early stages in recovery. The program is so powerful that several colleges and universities have adopted the use for students who are recovering from addiction. The school’s find those who use the facility have a lower dropout and relapse rate while attending school. Rules for living within these transitional facilities will vary but many rules are common and include maintaining your sobriety all times, keeping a job or going to school, maintaining a curfew and participating in the 12-step program.